We are dedicated in providing our customers with the best in service and parts. From warranty work on your new Chrysler, Dodge or Jeep to any repairs necessary to keep your vehicle, domestic or foreign, on the road, we have the tools and training to make it happen. 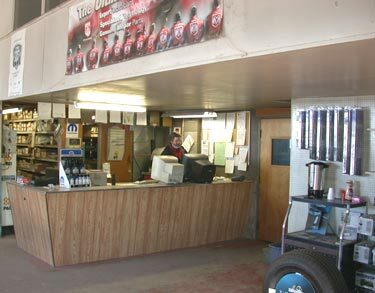 Stop out and visit us anytime to see first hand our facility or contact us and we will strive to make servicing your vehicle a pleasant experience. 1. Regular oil changes are critical to the life of your engine. We recommend 3,000 mile service intervals for gas engines and 4,000 mile intervals for diesels. 2. Proper tire inflation and rotation gives your car the best performance and longest life from the tires. Rotate your tires every 6,000 miles. 3. Maintain proper coolant mix (between 50/50 and 60/40). Not only does this prevent winter freeze-up, but also prevents overheating in the summer. 4. Periodically, do a safety check, including lights, exhaust, wiper blades and charging system.